Decor Paint is a specialized coating in Aerosol Can which can be applied to any Chrome plated, metal, glass, ceramic or Acrylic surfaces to give a transparent decorative coat. Slowly build up the coat to your desired level and make the object stand out against the rest. Aerosol spray paints are sealed in pressurized containers to deliver professionally looking finishing at highly economical prices and our range of product includes spray paints and industrial spray paints. Our paints are extremely easy to use and dry fast. 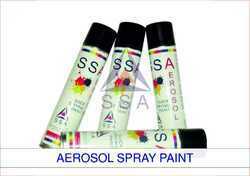 We are one of the largest firms offering a quality certified collection of Cure Aerosol Spray Paint.